Now that the new school year is well underway and your child has had their chance to settle in and learn about their new teacher and what is coming in the new school year, it’s time for parents to do the same. Below is an article from The Tutoring Center, Wichita which can help you prepare for a parent-teacher meeting. 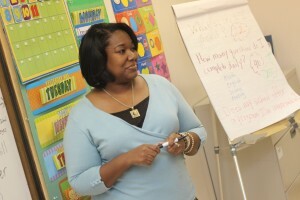 It is easy to attend your meeting thinking that you know everything you want to speak about with your child’s teacher. However, this mentality often leads to parents returning home and realizing that they either got side-tracked by the conversation or they forgot entirely about important items they wanted to discuss. Combat this by sitting down and making a thorough, solid list. Think about all of the things you want to speak about, such as last year’s struggles, your child’s learning strengths, and even their career and academic goals. Once you have all of these written down, arrange them in order of importance. In the event that you run out of time, it’s important that you leave knowing that you were able to speak about the most important items. This can also help you to stay on topic if the conversation starts to take you in a different direction. Whether it’s a problem with the principal, the school lunches, or even how the department is running the curriculum, if an item on your list isn’t something which the teacher can directly help with, then take it off. Instead, stick to the items which can directly impact your child’s education and their grades. In your own time, take up your additional items with the correct person or body. Was Tutoring in Wichita Suggested? If your child’s teacher suggests that your child could benefit from learning outside of school, tutoring in Wichita can help. One-to-one tutoring in Wichita gives children the learning tools they need to reach their academic potential. To learn more, speak with The Tutoring Center, Wichita at 316-854-3000 and book your free initial diagnostic assessment.